Information on our New Voices Award and New Visions Awards, two writing contests for unpublished authors of color. This year marks our 14th annual New Voices Award writing contest. Every year, LEE & LOW BOOKS gives the New Voices Award to a debut author of color for a picture book manuscript. Did you know that last year, children’s books written by authors of color made up less than seven percent of the total number of books published? As a multicultural publisher, we’re dedicated to increasing those numbers. The New Voices Award is one way we can help new authors of color break into publishing. In this new blog series, we thought it’d be fun to bring together some past New Voices Award winners on the blog to see how they got their start as authors, what inspires them, and where they are now. Q: How did you start writing picture books? New York, NY—April 11, 2013—Tu Books, the science fiction, fantasy, and mystery imprint of respected multicultural children’s publisher LEE & LOW BOOKS, is thrilled to announce that author Valynne Maetani has won its first annual New Visions Award for her young adult mystery novel, Remnants of the Rising Sun. The New Visions writing contest was established to encourage new talent and to offer authors of color a chance to break into a tough and predominantly white market. The award honors a fantasy, science fiction, or mystery novel for young readers by an author of color who has not previously published a novel for that age group. In a groundbreaking announcement, First Book, a non-profit social enterprise launched the Stories for All Project. The project’s aim is to introduce a significant number of multicultural books into the hands of low-income children. LEE & LOW was chosen as one of two publishers to be a part of this endeavor and receive a $500,000 award. In January we announced the finalists of our first New Visions Award, a new writing award for a debut author of color for a middle grade or young adult science fiction, fantasy, or mystery novel. Over the next few weeks, we’ll be highlighting these talented finalists on our blog as they answer questions about what inspires them, the writing process, and more. Perhaps among these five finalists you’ll find your next favorite author! Learn what brought Ailynn and Valynne as well as Ibi, Rahul, and Akwaeke to Tu Books and to the New Visions Award competition in particular. Read about their experiences writing from a cultural background that may be unfamiliar to most young readers. Q: What was your relationship to books and reading as a child or teenager? In what ways did you see yourself represented in books? I was seven when I attended my first boarding school. Determined to hate the experience, I succeeded at being miserable. Over the next few years, I changed school six times. I was always the new kid, but I wasn’t the nice one. I got into fights, defied teachers and even started a gang to beat up boys (I didn’t actually beat up anyone). Adults whispered about me when they thought I wasn’t listening. I was the poor child whose parents were getting a divorce. Because of that, I got away with everything which just made me more miserable. Last month we announced the finalists of our first New Visions Award, a new writing award for a debut author of color for a middle grade or young adult science fiction, fantasy, or mystery novel. Over the next few weeks, we’ll be highlighting these talented finalists on our blog as they answer questions about what inspires them, the writing process, and more. Perhaps among these five finalists you’ll find your next favorite author! Q: What has been your experience writing from a different cultural background that may be unfamiliar to most young readers? While most readers are familiar with Edwidge Danticat, there are, of course, other Haitian and non-Haitian writers telling stories about Haitian children. M. Sindy Felin’s Touching Snow was a National Book Award Finalist. The recent winner of the Printz Award is In Darkness, a story about a Haitian boy during the earthquake written by Nick Lake. One of my favorite Haitian YA books is Taste of Salt by the late Frances Temple. Haiti has an amazing literary tradition and under a brutal dictatorship, writers either risked their lives or were sent into exile. So, for me, writing about Haiti is very political. Though, my stories are cloaked in a world of magic. What better way to convey Haiti’s complex history and mythology than in a young adult fantasy novel? This simply adds another layer of depth to what young readers already know about Haiti, or any given culture. They must know that culture is multi-dimensional and is not regulated to the superficial “facts” in the media. This is why mythology breathes life into everything I write. While the names and magical systems differ, there is an interconnecting power in world mythology that can resonate with any reader. Q: What brought you to Tu Books and to the New Visions Award competition in particular? My novel has a number of autobiographical elements. I mean, obviously, I didn’t grow up in a plague-wracked authoritarian dystopia, but I did share many of the troubles and experiences of the character in my novel. I went to Catholic school and I was confused regarding my sexual orientation and I had body image issues. And when I started the first draft of my very first YA novel, all of that came out of me in a crazy rush. Nothing was filtered. Everything was on the paper. Never before nor since have I experienced that kind of pure mind to keyboard translation. Except for one thing. The protagonist of that first draft was white. That’s because (kind of funnily, since I’m currently enrolled in an MFA program that’s more-or-less devoted to the creation of fine literature), I’m relentlessly commercial. I can’t ever get up the motivation to write something that I don’t think will sell. 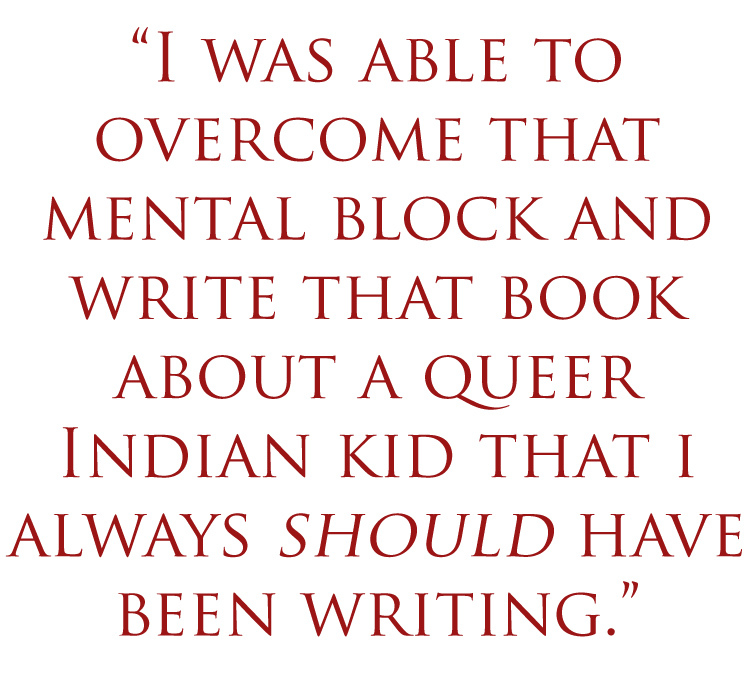 And, you know, I believed it was possible to sell a YA novel with a queer protagonist. And I believe it’s possible to sell a YA novel with a protagonist of color. There are (a few) examples of both of those things. But I just was not at all sure that it was possible to sell a YA novel with a protagonist who was both. Somehow, the intersection felt too narrow. I don’t know. Perhaps I was the unimaginative one there. Perhaps I didn’t give the publishing industry enough credit. But before I could even start to write that book, I felt like I had to choose one identity and discard another. I came across Tu Books when I bid on a copy of Tankborn for a charitable cause. Soon after, I had the good fortune to sit next to the writer, Karen Sandler, at an SCBWI conference in LA. I was delighted to find an imprint that is dedicated to putting books out there that are written by and feature characters of color. Why is it important, you say, that there be this need to highlight multi-ethnic writers and stories? Because to me the world is colorful and always has been, but many of the books I love haven’t always reflected it. Too much of my own childhood was spent thinking that to be a hero or heroine, I had to look a certain way, and mostly not like me. Yet, when I look at the amazing people in the world I grew up in, they came from all sorts of backgrounds, colors and cultures. So I had to be a part of this endeavor and I congratulate Tu Books on their first ever New Visions Award. I submitted my science fiction story and (wow!) now I’m a finalist. The other finalists are remarkable writers from excitingly varied backgrounds. I am honored to be in this group with them. If you’ve been stuck at home from the hurricane and spending your time polishing your young adult novel, good news: due to Hurricane Sandy, we will be extending the deadline for our first annual New Visions Award. Entries should now be postmarked by November 14. The New Visions Award will be given to a middle grade or young adult science fiction, fantasy, or mystery manuscript by a writer of color who has not previously had a middle grade or young adult novel published. See the full submissions requirements and guidelines. Announcing the New Visions Award! Calling all aspiring authors! We are thrilled to announce the establishment of the New Visions Award, which will be given to a middle grade or young adult fantasy, science fiction, or mystery novel by a writer of color. Established by Lee & Low’s fantasy, science fiction and mystery imprint, Tu Books, the award is a fantastic chance for new authors of color to break into the world of speculative fiction, a genre that would benefit greatly from more diversity. Note: This post was originally written in 2010, however we continue to update the comments section with answers to your questions. 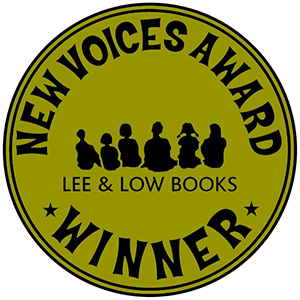 The New Voices Award is open to all authors of color who have not previously had a children’s picture book published. The winner receives a cash prize of $1000 and our standard publication contract, including our basic advance and royalties for a first time author. An Honor winner will receive a cash prize of $500. What does it mean to be a person of color? Well, that can be a pretty complicated question, but for the purposes of our New Voices Award specifically, we accept contest entries from people of African, Asian/Pacific Islander, Latin American, Middle Eastern, or Native American/Indigenous descent. Why is the New Voices Award only open to people of color? The New Voices Award was founded to encourage and support authors of color in a market where they’ve been traditionally excluded and underrepresented. That was true in 2000 when the award was started and it’s still true today (see these stats for some surprising figures about the number of books published by/for people of color). The New Voices Award is one of the ways in which we’re trying to close the gap.